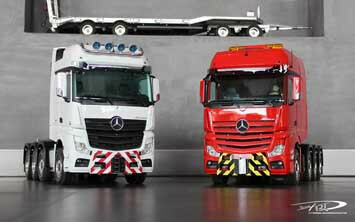 Power and elegance – this combination is found in models by ScaleART Model Manufactory heavy duty trucks line. 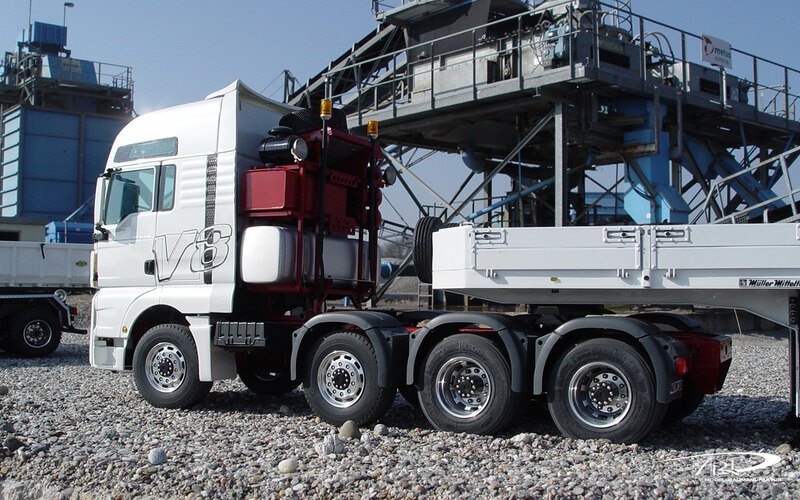 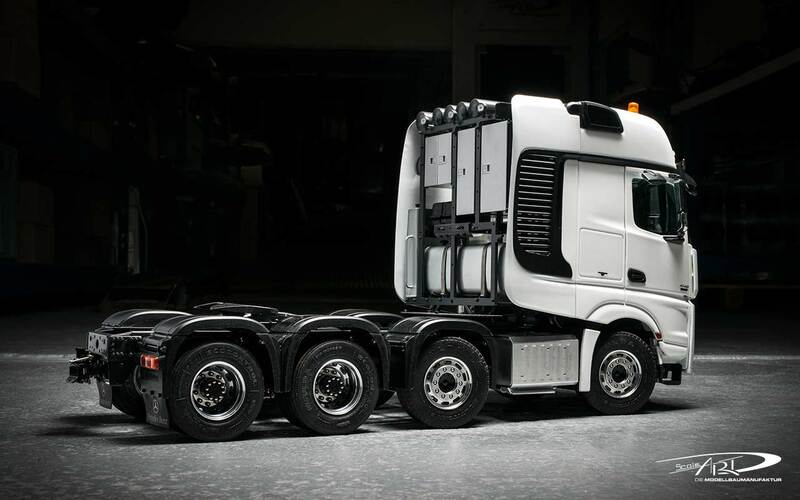 Four axles keep these models moving and provide them with power, as well as the ability to transport heavy loads. 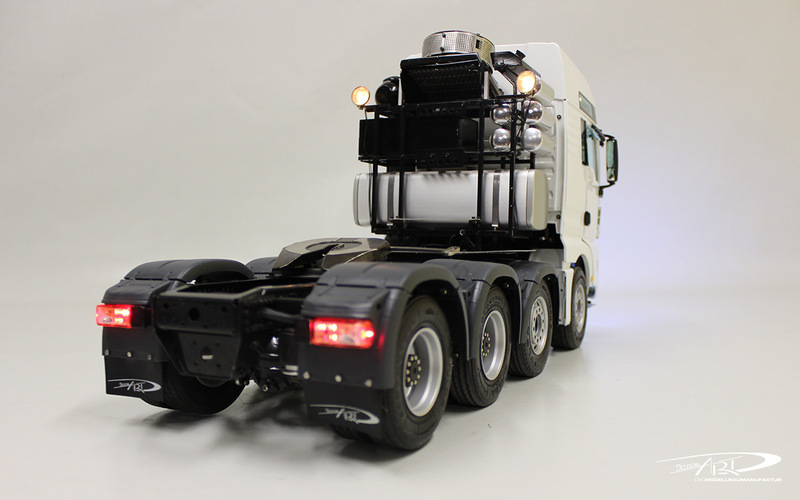 The model can be combined with other products from the ScaleART range, making the heavy duty trailer with the matching heavy-duty transport or low-loader semi-trailer a real powerhouse. 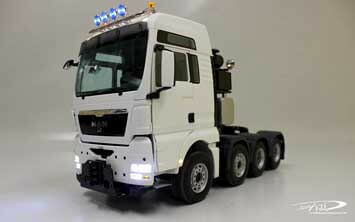 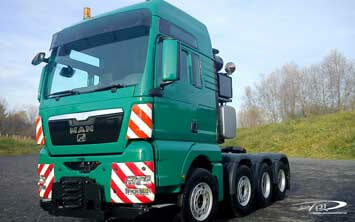 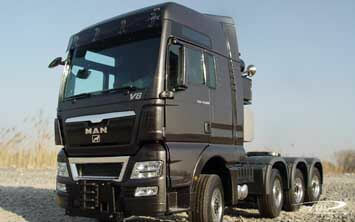 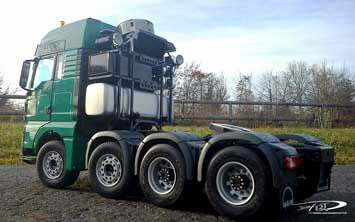 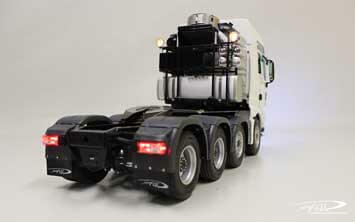 This model can be transformed into a high-end heavy-duty vehicle in no time at all with the right combination of parts. Sooner or later, all loads will throw in the towel. 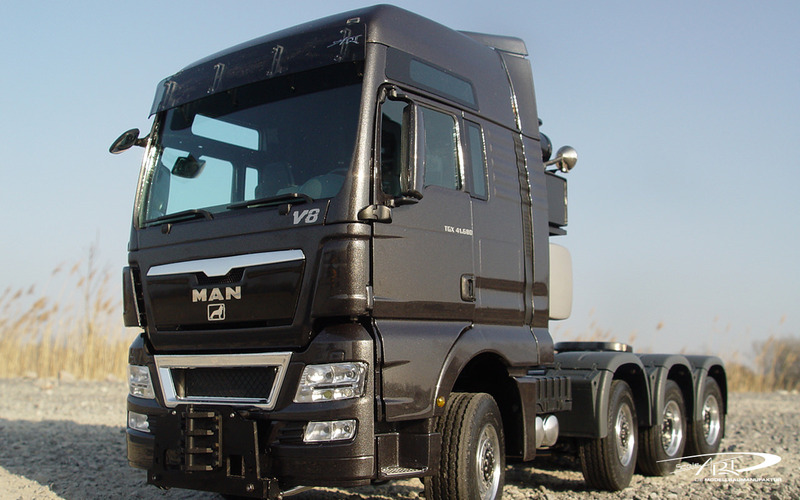 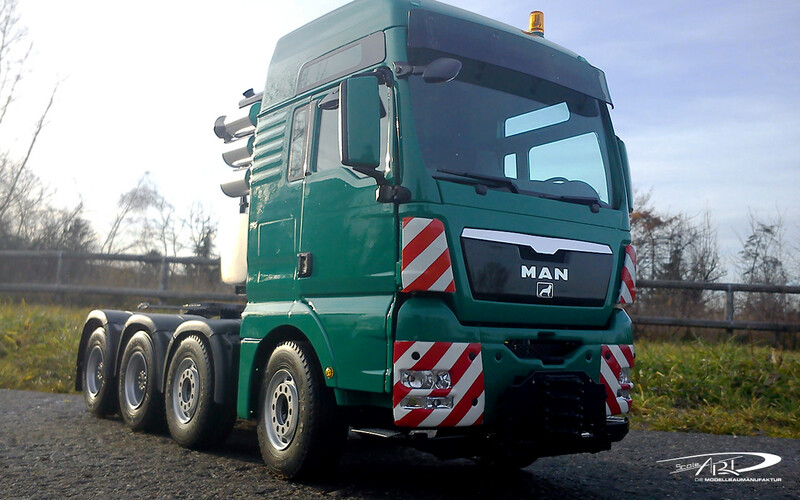 The heavy duty truck from our range transports your cargo with ease. 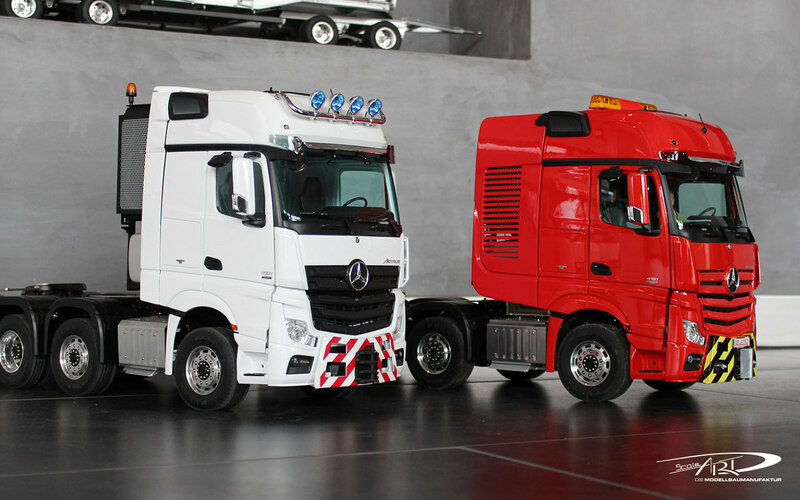 The heavyweight also clears aside the biggest difficulties in the model industry. 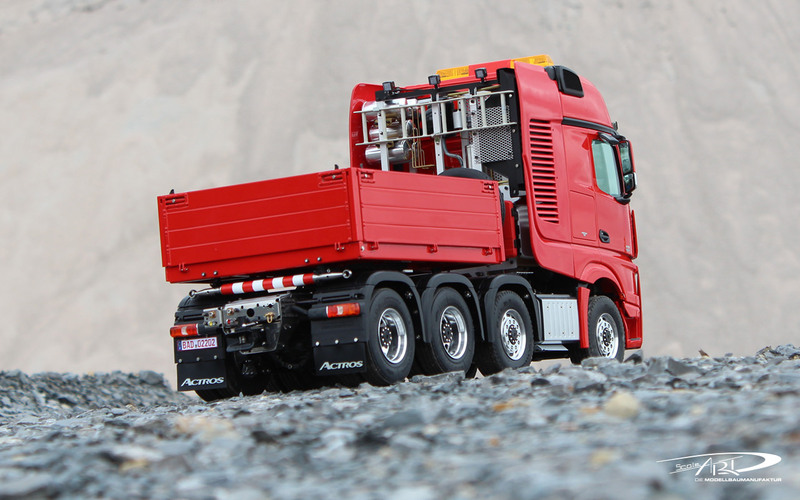 Yes, that’s right – one version is not enough and for this reason ScaleART also offers the heavy duty truck in two versions. 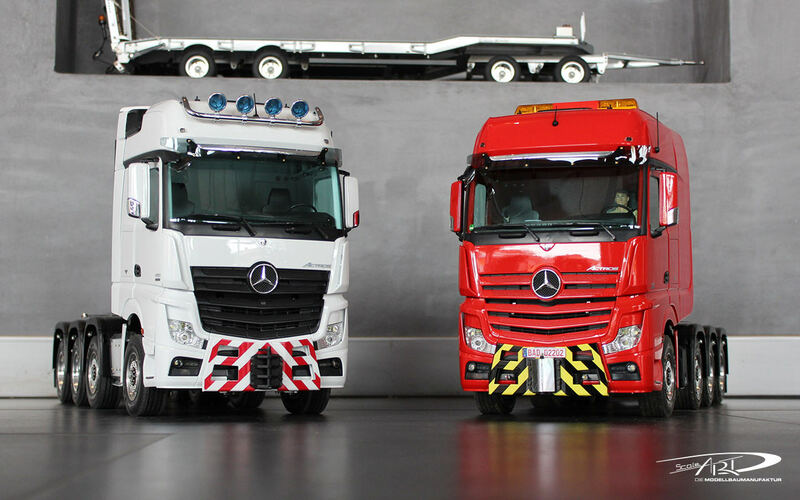 On the one hand, the Mercedes Actros II Gigaspace SLT model is available and on the other hand, model collectors can enjoy the MAN TGX-XXL version. Of course, the quality of accessories is also extremely important that ScaleART offers and is perfectly suitable for supplementing the heavy duty models. 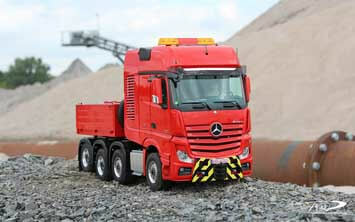 The ballast platform completes the model and offers collectors complete fun. Their name is heavy enough but ScaleART’s models are able to heavily impress any collector. 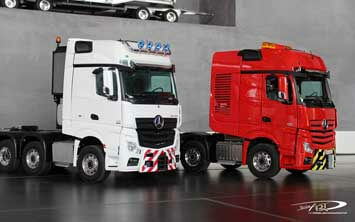 The different versions of the models can also be combined. 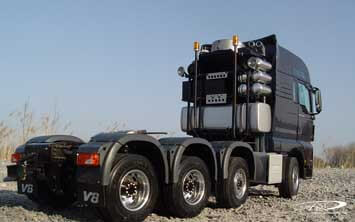 With a rear-wheel drive or the version with full-wheel drive, the heavy-duty truck is always ready to go. 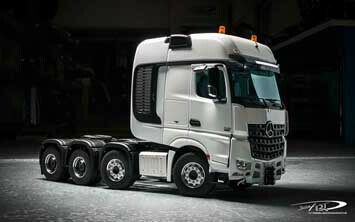 This model reveals a sense of detail and of course the understanding for heavy-duty models is getting a new angle. The heavy-duty truck is the ScaleART specialist for heavy-duty tasks.